It’s not a secret that I really love cooking games. I like cooking, so it’s only natural that I’d enjoy picking up a cooking game here and there. When searching around on my phone for iOS games to play, Bear’s Restaurant was advertised as the game of the day. 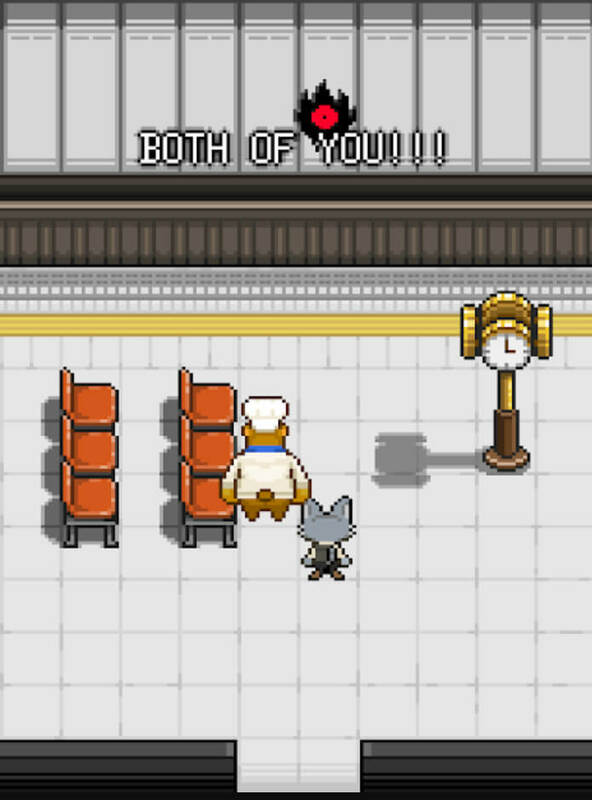 A cute pixel bear and a pixel cat sat in a restaurant — what a pleasant looking game! Without taking a deeper look into it, I downloaded it. And then, I started playing. You see, Bear’s Restaurant doesn’t follow, in my mind, the path of a typical cooking game. Sure, it’s about food, but at no point will you really go through the steps required to make food. This game is a deeper, meaningful, story-based game that just happens to be told around a restaurant, owned by a bear. The people and animals that come to eat your food aren’t normal customers. You have no menu and very few chairs. 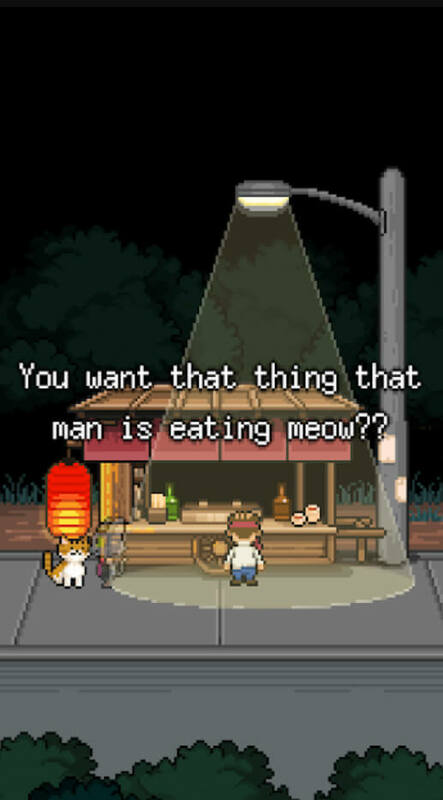 It’s quite odd — even though you play a strange cat in a world full of humans. Soon though, and I am trying to stay light on spoilers here, you start to learn exactly what these people are. They’ve died, and this is their final meal on their way to heaven. Each character who enters your restaurant wants to eat a specific food one more time. Instead of ordering, they give you the memory of what they most enjoyed, which you give to Bear. Bear makes the meal, which you then deliver. After the first day, he explains that these people then wait for the train to Heaven, which may take a while. Often, you and bear aren’t sure what the food is that’s been ordered. Instead of questioning the person, you are able to dive into their memory, seeing when they last ate this meal and sometimes trying it, before making your way out of the memory and back to limbo. As you have their memory shards, you have the option to go and explore their deaths before you go to bed. Many of these deaths are predictable, especially if you chat to the characters in the train station, but sometimes they shed light on why the person got into that situation. The tough guy might have been doing the right thing, the kid who never ate healthy or went outside actually had a stutter, the mouse simply tried something inedible. These bits of sad story make the characters more rounded, but they are characters who are leaving your world. Progressing, you start to wonder why you and the Bear get to stay. One day the Bear is too sick to work and you need to take on their role in cooking — that’s when a lot of bad things start to happen. Bear has been holding back a secret around his own death. Demons have come into limbo. Suddenly, this cute restaurant is no longer happy or cute. You’ll need to go forward and face the scary idea of death, face your memories and your past, just so you can live in peace. Bear’s Restaurant is a short story, but one that makes you sad, before giving you a boost of hope. I’m glad I picked it up, despite it not being what I had expected. My only complaint is how predictable a few of the stories are beyond the characters, but otherwise, it’s a very nice game. You can download Bear’s Restaurant on iOS and Android.